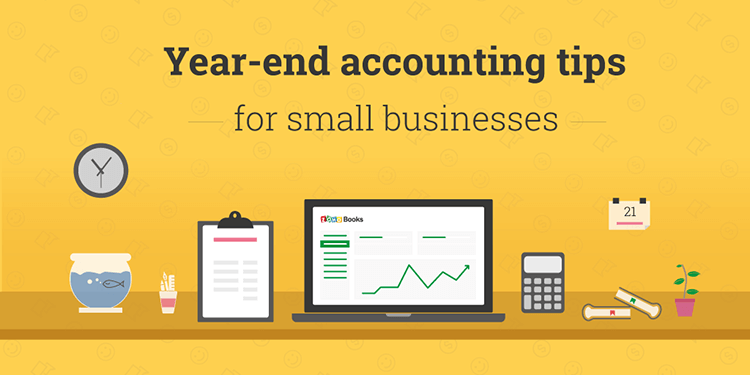 For most small businesses, year-end is a time to dread. This tends to be the busiest part of the fiscal year as there are many tasks you need to take care of, including sending customer statements, reconciling bank accounts, preparing financial documents, filing taxes, and many others. Without a proper accounting system in place, your books may not be in order; you could miss out on a few payments, and your reports could be riddled with errors. However, if you are using an online accounting software like Zoho Books, the entire process becomes much easier. Based on the business model you choose to follow, you will need to take care of a few year-end tasks. Most of these can be performed on a daily, monthly, or even quarterly basis if you want to lighten the load during the close of the fiscal year. You can download this checklist at the end of this article. We’ll discuss some essential guidelines for closing your books at the end of the fiscal year, and how you can use Zoho Books to take care of these tasks so you can get a complete, accurate set of financial records for your business. Make sure you send statements to all your customers and remind them of outstanding payments. Check if you have any open Sales Orders or active projects that are yet to be billed, and send out invoices for them. 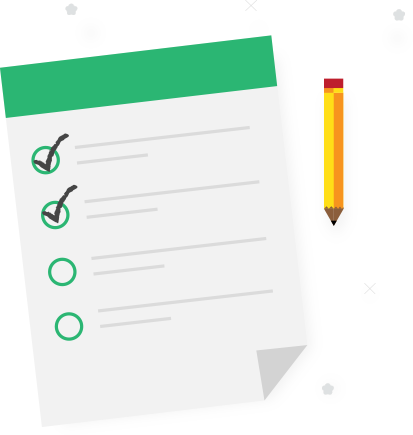 In Zoho Books, you can use the Project Summary report to quickly find any projects that have not yet been invoiced. You can also see if any billable expenses haven’t been invoiced yet by going into the Expense Details report and selecting the “unbilled” filter. Follow up on outstanding payments. Throughout the fiscal year, you need to send reminders to customers who have not paid you on time so you can stay on top of your cashflow. You can save yourself a lot of the last-minute stress that comes with customer follow-ups by setting up automatic reminders in Zoho Books, so that customers will receive follow-up emails periodically. To set an automatic reminder, go the Reminders tab under Settings and configure them as per your need. As the year draws to a close, make sure that you deal with any payments that you have not yet received. Use the Customer Balances report in Zoho Books to see if there are any outstanding balances and find out how much money your customers still owe you so you can tie up any loose ends. Now unfortunately, not all of your clients are going to pay you. If this happens, you can write the invoices off as bad debt, if you think they are never going to pay you. To make sure that you have waited sufficient time before writing an invoice off (usually this is after six months have passed since the due date), go to the Aging Details report and see how long a payment has remained unpaid. Customers who have long overdue invoices, can be found in this report. You can send them a final reminder, just in case, but if you don’t get a response, write these overdue invoices off. Make sure you have recorded all bills from your vendors. If you paid for insurance in advance, you would have recorded that as ‘Assets’. Re-categorize the portion of the amount that corresponds to this year and record it under ‘Expenses’. Also, if you have incurred business expenses, keep track of those separately; you can claim tax deductions on these. You can tag such expenses using reporting tags so you will know which expenses you will be able to claim a deduction for. If there has been a drop in the market value of your inventory, you may be able to claim additional deductions. Use the Inventory Valuation Summary in Zoho Books to get the exact value of your inventory. Perform a stocktake and see how many of your items are either obsolete or no longer in sellable condition. Additionally, make sure that your physical stock numbers match the reported inventory numbers in Zoho Books. You can use your Inactive Items filter to keep track of items that you don’t sell anymore and write them off. Finally, you can account for depreciation expenses for your fixed assets and record the depreciation using a Manual Journal under the Accountants tab. Reconciliation will help you identify discrepancies, possible bank errors, or fraudulent activity that has happened in your account. It will also let you know what transactions you have authorized that have not yet cleared the account, such as uncashed checks. This tedious task can be made much simpler if you do a little bit each month. Categorize and match the transactions that are fetched from your bank feeds. In Zoho Books, you can create Transaction Rules with your own criteria that will then automatically categorize your transactions for you. Make sure that all the invoices and bills in your accounting software agree with the transactions in your bank statement. Keep an eye out for canceled and uncleared checks, as they can mess up your accounts at crucial moments during your year-end closing. Once you have reconciled your bank statements with the transactions in your accounting system, you can lock them so that no further changes will happen in the closing period. Use the Transaction Locking feature in Zoho Books to prevent transactions from being created, edited, or deleted. If you have bank accounts in multiple currencies, you need to account for the profit or loss due exchange rate fluctuations. In case you’re selling in a foreign country and/or working with multiple currencies, be sure to pay the correct amount of tax on the money you owe, or you’ll risk a visit from the tax authorities. When you’re preparing your reports, make sure that they are stated in your base currency. All this is taken care of automatically in Zoho Books. Your Profit and Loss statement tells you how much you have earned and how much you have spent. Compare the current year’s report with the previous year’s to see if your business is doing well. Analyze your Cashflow Report to understand where your money is coming from and how it’s being spent. You can use this information to predict future cash flow, which, in turn, can help you with your budgeting for the upcoming year. Once this is all done, send your accountant your financial reports so they can review your finances and help you plan for the next year. If you’re using Zoho Books, you can save yourself the trouble of sending all these documents; just invite your accountant to be a user in your Zoho Books organization so they can make all the necessary entries and file your taxes for you. What do you need to send your accountant? Make sure that you have everything you need ready to go before submitting your documents. Please note in addition to these, you may be required to submit other documents depending on your business. Talk to your accountant to get a complete list of any supplementary papers that need to be sent. We hope these tips will help you have a successful year-end closing. If you have completed all these, you deserve a pat on your back. You are all set for the next year.